This year’s VBS is retro, video game fun for everyone. Themed around some of the fun, 8-bit video games of the 1980s, kids get to dig deep into the Bible that shows them that they can know God – through His Word and through His Spirit. With 2 Peter 1:3 as our key verse, kids will know that God’s power gives them everything they need to lead a godly life – a great life. VBS is FREE for preschool (limited availability for 3’s & 4s) and those entering Grades K-5 in the fall. 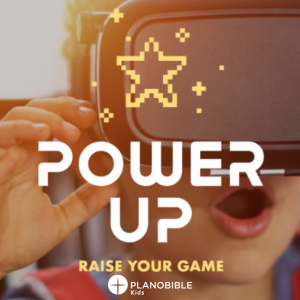 There’s also PowerUP for Jr. High (entering 6th-8th). Join us June 10 –June 14 from 6:30-8:30pm each night.